Item #IGM-B23112415021: Approx. 6" tall Citrine gemstone tree with 18 branches and Amethyst crystal base. 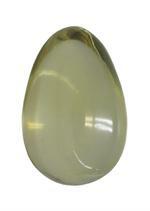 Item #CIT-EG-1: 67x44mm Citrine Egg; 915.75 cts. 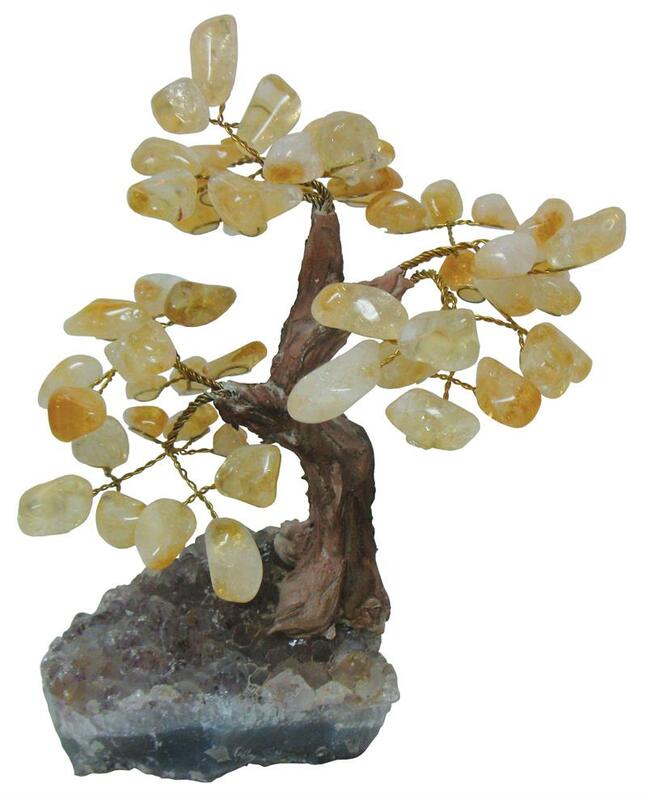 Item #MS-893: Citrine paperweight. Sizes and shapes vary. Item #AM-CIT-75: Approx. 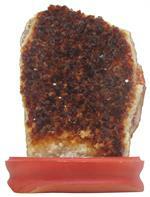 5.25"x8" Citrine specimen on wooden base. Item #AM-CIT-400: Approx. 6 1/2"x9"x4" Citrine specimen on wooden base. 8.58 lbs. Item #IGM-B23112415070: Approx. 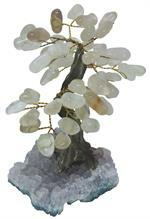 4" tall Rock Crystal gemstone tree with 8 branches and Amethyst crystal base. Item #IGM-B23112415030: Approx. 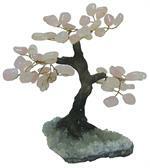 6" tall Rose Quartz gemstone tree with 18 branches and Amethyst crystal base. Item #IGM-B23112415031: Approx. 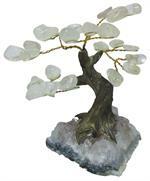 6" tall Smoky Quartz gemstone tree with 18 branches and Amethyst crystal base. Item #IGM-B23112415080: Approx. 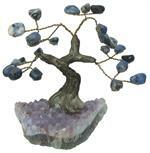 4" tall Sodalite gemstone tree with 8 branches and Amethyst crystal base.